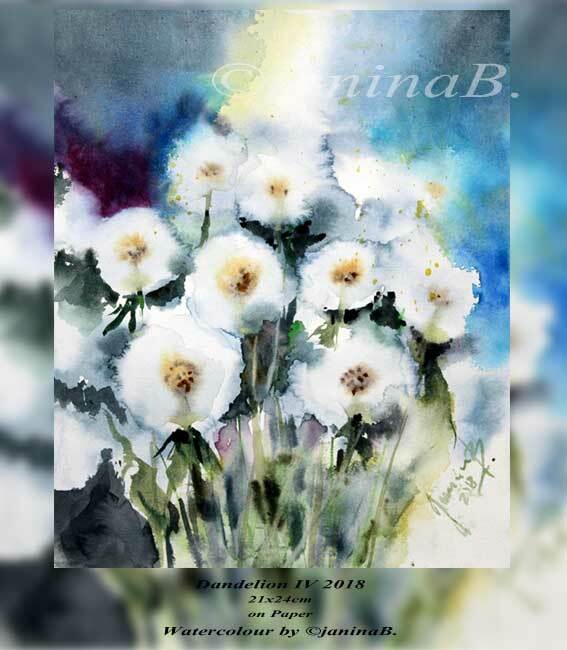 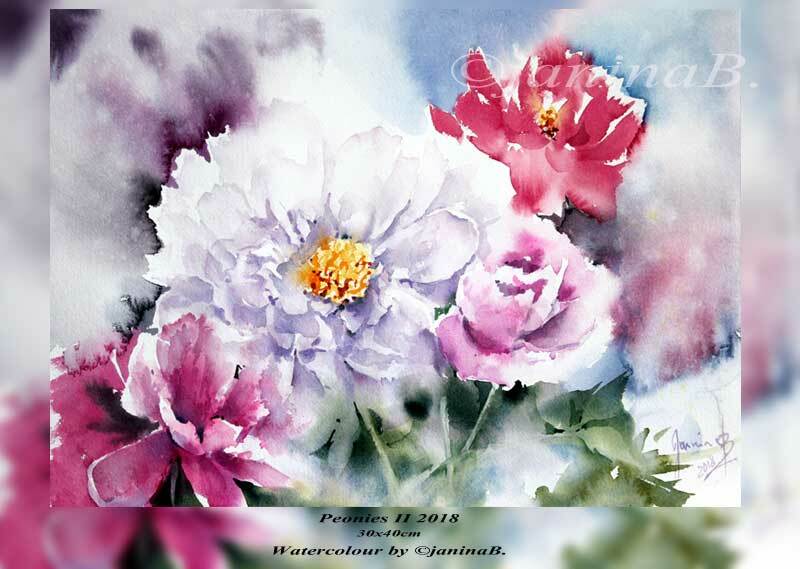 Peonies II 2018 / 30x40cm Watercolour by ©janinaB. Dandelion IV 2018 / 21x24cm on Paper Watercolour by ©janinaB. 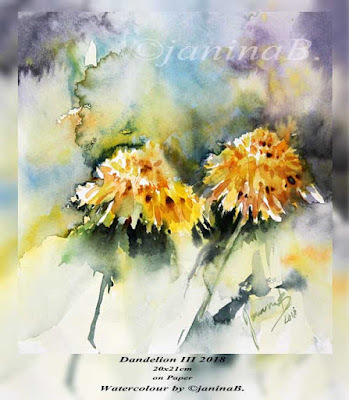 Dandelion III 2018 / 21x24cm on Paper Watercolour by ©janinaB. 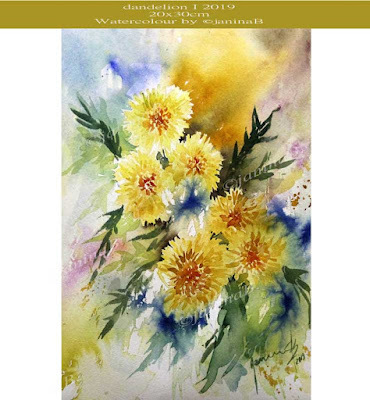 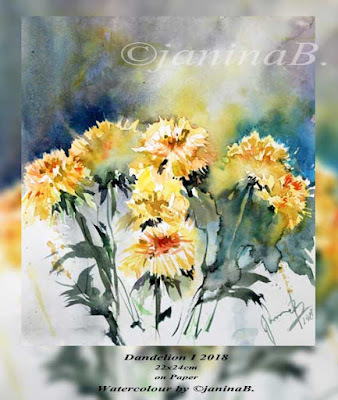 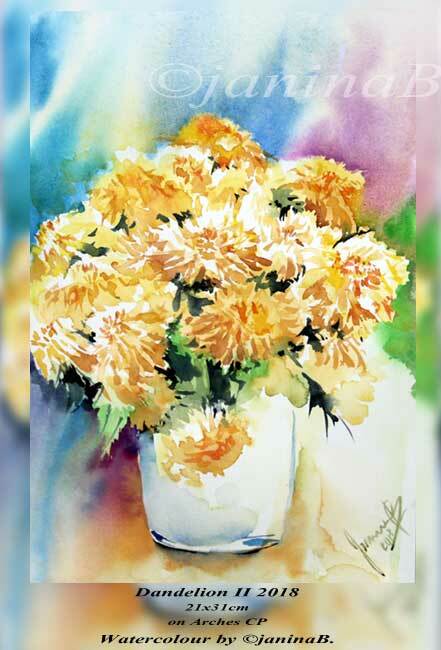 Dandelion II 2018 / 21x31cm on Arches CP Watercolour by ©janinaB. Dandelion I 2018 / 22x24cm on Paper Watercolour by ©janinaB. 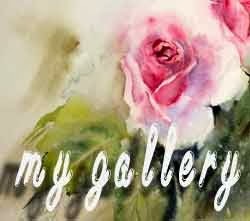 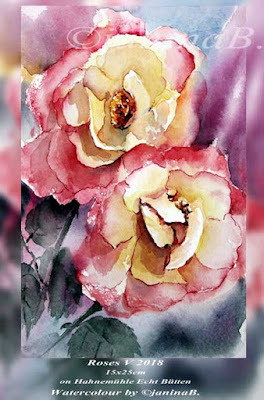 Roses V 2018 / 15x25cm on Hahnemühle Echt Bütten Watercolour by ©janinaB. 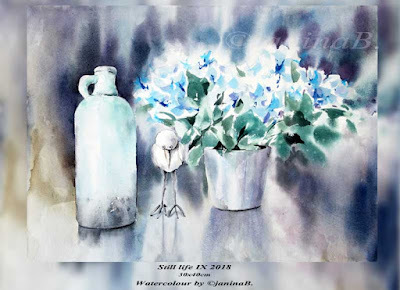 Still life IX 2018 / 30x40cm Watercolour by ©janinaB. 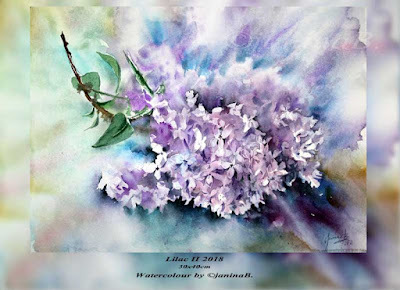 Lilac II 2018 / 30x40cm Watercolour by ©janinaB. 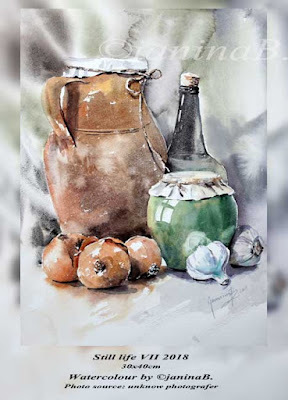 Still life VIII 2018 / 40x50cm Watercolour on Hahnemühle Echt Bütten by ©janinaB. 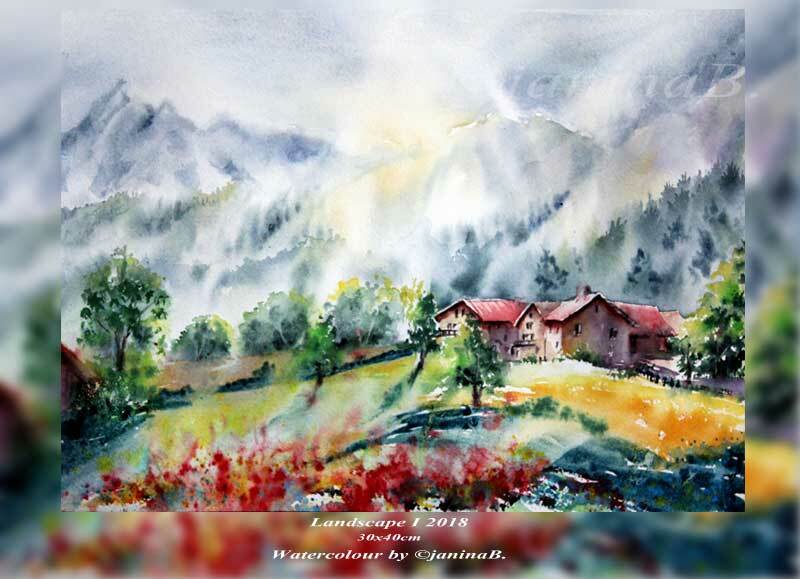 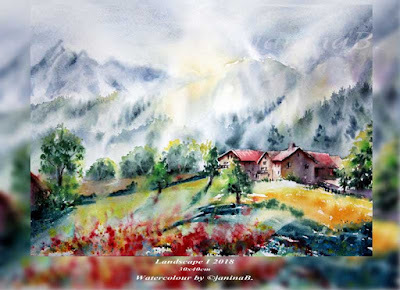 Landscape I 2018 / 30x40cm Watercolour by ©janinaB. 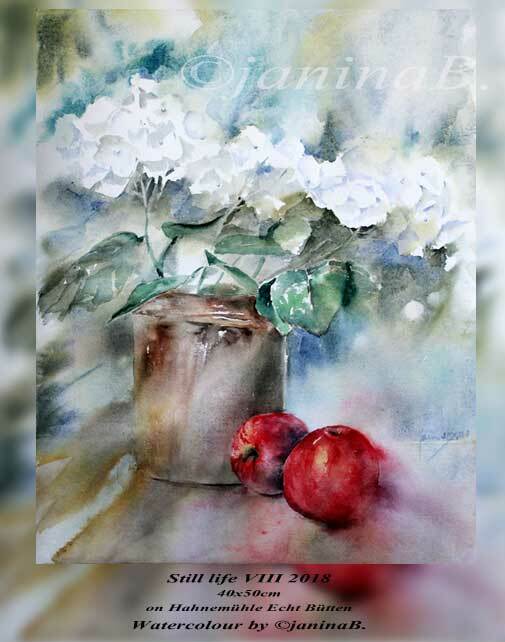 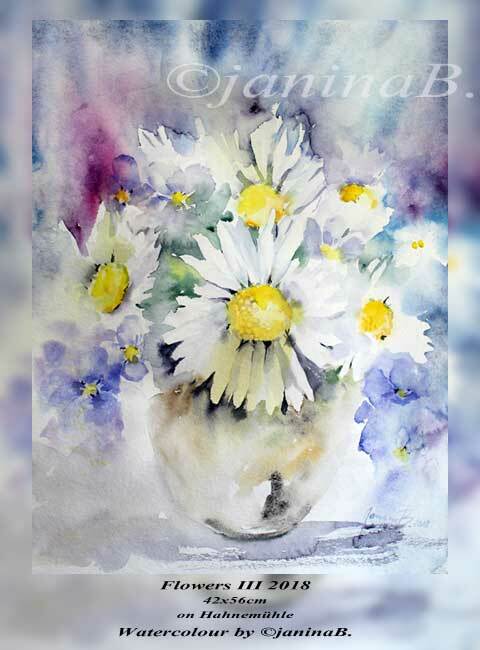 Still life VII 2018 / 30x40cm Watercolour by ©janinaB.